Full disclosure: I don’t really like strategy games. Be they tower defense or any other kind of warfare sim, I’m just generally not a fan. So when I playedCartoon Defense, developed by Kyunghun Kang, I was completely taken by surprise. 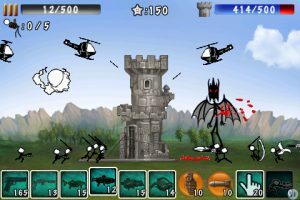 I totally got sucked into all of the mayhem this iPhone game offered, and spent waaaaay too much time defending my castle. The controls couldn’t be more simple (or more precise.) 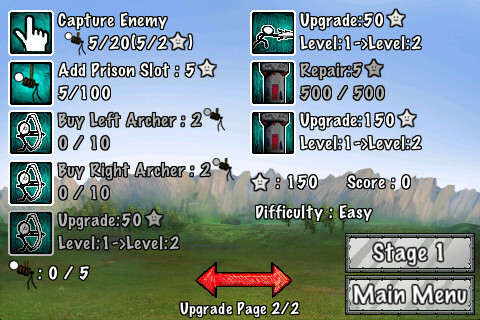 Select your weapon along the bottom of the screen, and tap where you want to fire. You’ve got a crazy array of weapons, from guns and rockets to grenades and, well, even bigger guns. 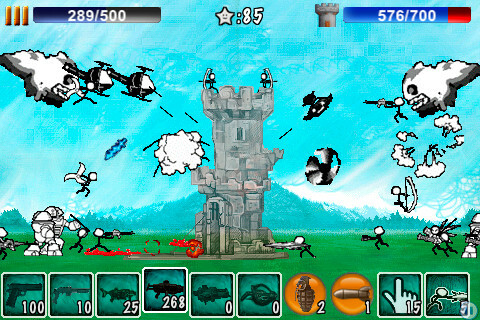 Of course, to afford all these weapons (and the inevitable repairs for your castle), you need to beat your enemies. All of your enemies. Play with your friends via Local Wifi or Bluetooth. 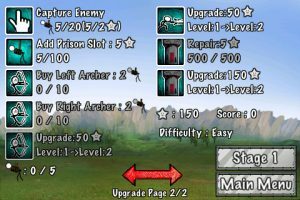 Since Cartoon Defense was initially released, the developer has come out with nearly ten updates, which shows a commitment to constantly improving the game. It’s rare that a free game gets so much TLC after being launched, and these updates added plenty of cool content. In short, even if you aren’t a fan of strategy games, you should give Cartoon Defense for iPhone a few minutes of your time. You just might find, like me, that there’s some quality gameplay to be had. 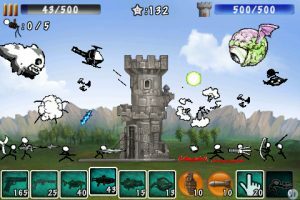 Cartoon Defenseis compatible with iPhone, iPod touch, and iPad. Requires iOS 3.2 or later. 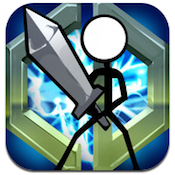 A small fee was paid by the developer to speed up the publication of this iPhone game review.